If you have seen Monty Python’s Life of Brian, you will recognize the quote in the title to this blog post. In the classic film, Brian (a contemporary of Jesus) has just lost his sandal while fleeing his admirers, who then stop to contemplate the spiritual meaning of his sandal lying in the desert sand. I have been on my own quest to find the right cycling shoe that will work well with toe clips. Having clipped in and out of “clipless” pedals for the last 15 years, I have developed some chronic swelling and pain in my left ankle. The sideways motion, and the fact that a number of “unclips” are required during my daily commute, has created a typical repetitive motion injury. Why not just use any good walking shoes as toe clip cycling shoes? Well, I tried that first, but as the trend toward giant toe boxes has mushroomed (pun intended), it’s hard to find any modern sport shoes that actually fit into a medium sized toe clip and pedal. 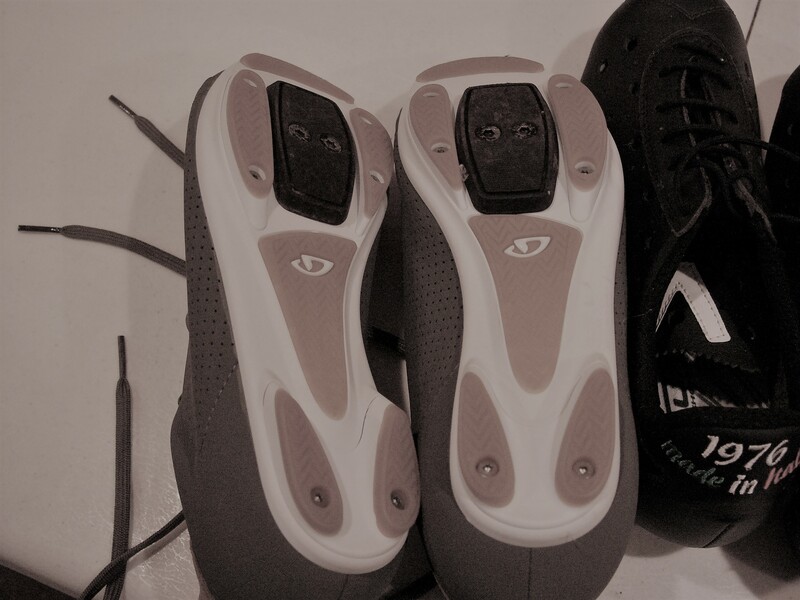 Plus, a stiffer sole does add a lot to your efficiency, since more power is transferred to the pedal. Apparently, though, being clipped in IS NOT related to efficiency. So, wearing a stiffer soled shoe with regular flat pedals should also improve efficiency, because a stiffer sole has been shown to transmit more power to the crankset. 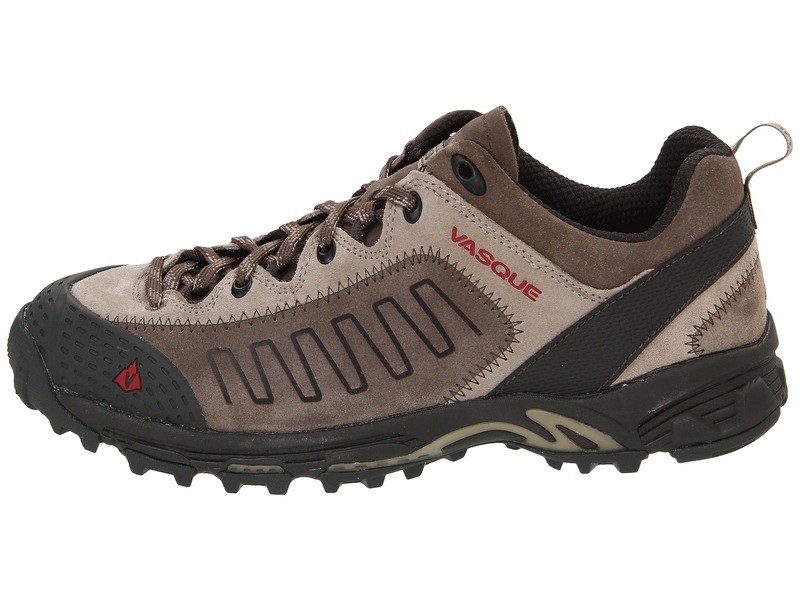 The Keen shoes shown above have a much stiffer sole than their Finn counterparts. Unfortunately, the toe box of the Keen is too big to fit into a toe clip, so only the Finn’s work as a street shoe to use with toe clips. Which is too bad, because the Keen’s are so much more comfortable. However, I use Keen walking shoes and sandals with all of my flat pedal bikes, and they work great for that application. 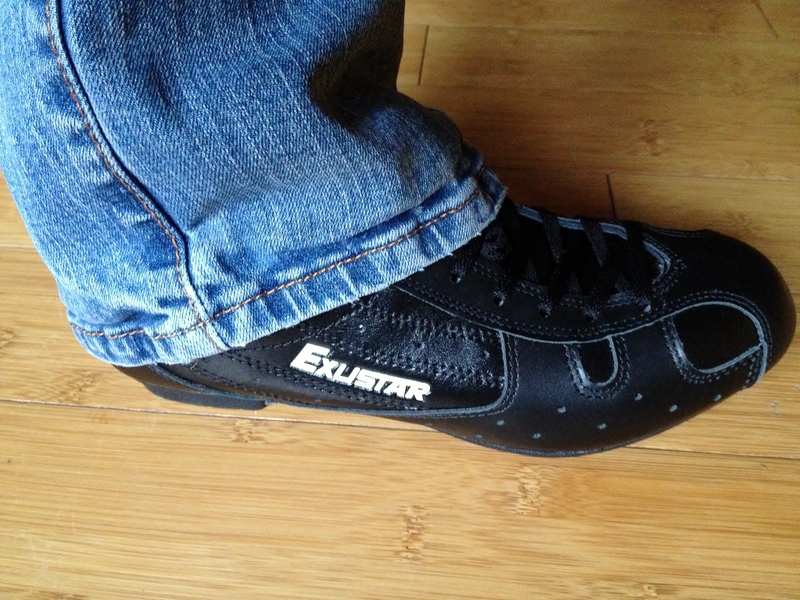 The Exustar shoes are really not comfortable off the bike. They look nice with jeans, but intrude upon my ankle when walking, in an unpleasant way. I tried out the beautiful Vittoria 1976 shoes, shown above, only to find that they were very narrow, and even more uncomfortable than the Exustars, although made with much higher end materials. Finally I ordered these very pretty Giro cycling shoes. They look so nice that I feel reluctant to strap them on, so haven’t ridden them yet. I am worried that the Portland rains will ruin them. They didn’t come with a cover over the clip attachments, so I stole the covers from another pair of shoes and screwed them in place. 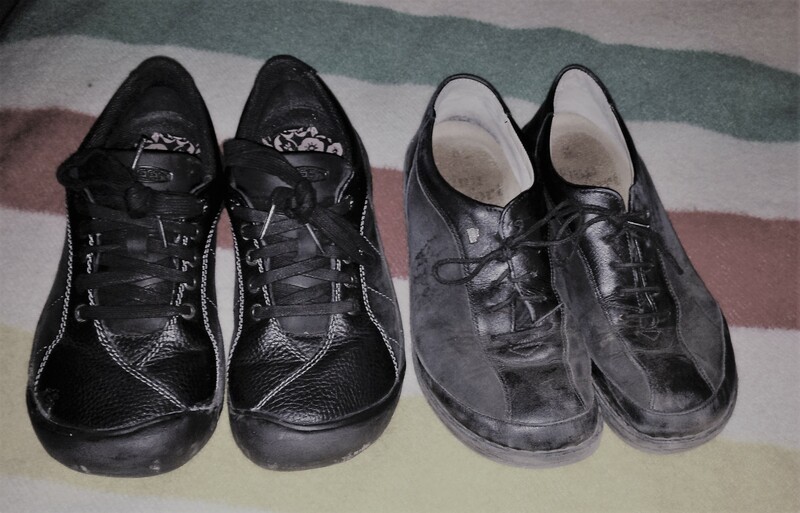 When the time comes, I’ll don these shoes and evaluate their performance relative to my other options, but I am going to wait for some warmer, dryer weather. 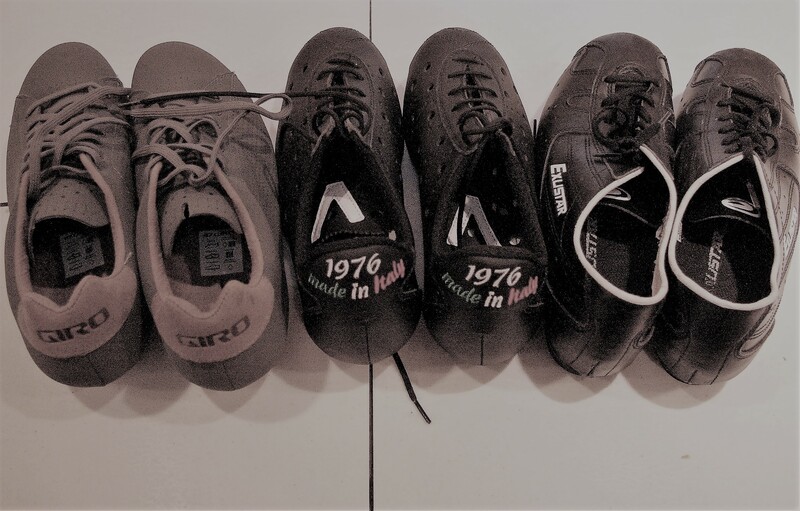 This entry was posted in Bicycle restoration, Cycling shoes and tagged Exustar, Finn, Keen, shoes for toe clips, toe clips, Vittoria by Nola Wilken. Bookmark the permalink. Ahh cycling shoes. This has always been a tough one for me. 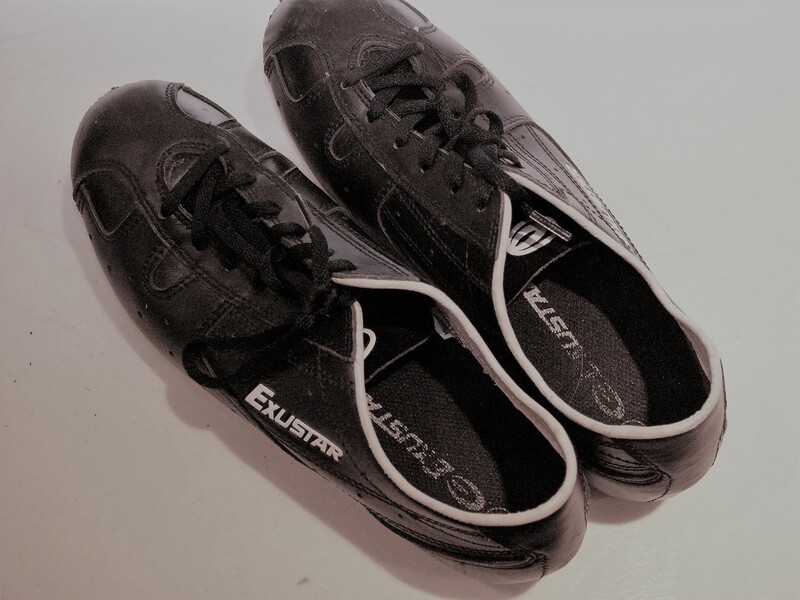 When I began becoming interested in more efficient and effective pedaling, I began with shoes for toe clips, I realized quickly that I actually disliked toe clips so I evolved to “classic” looking shoes with modern amenities. I have a couple pairs of shoes that fit this category and like you, I also have the Giro Republic’s that you have listed above. 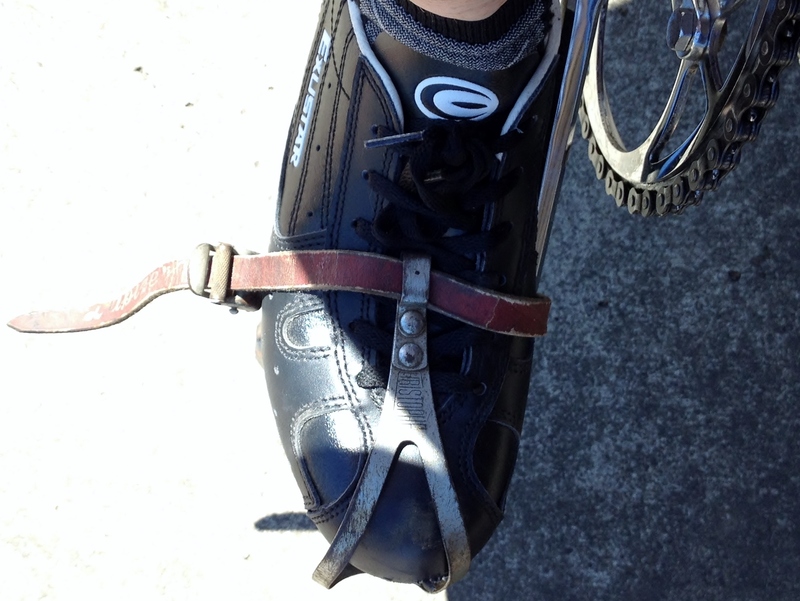 Although I use these with clipless pedals on my commuters (Crank Brothers Candy pedals, mainly). I have had them for close to two years and have ridden with them in a number of weather conditions and temperatures. Overall, I love them. They are gorgeous shoes with a modern but sophisticated look. 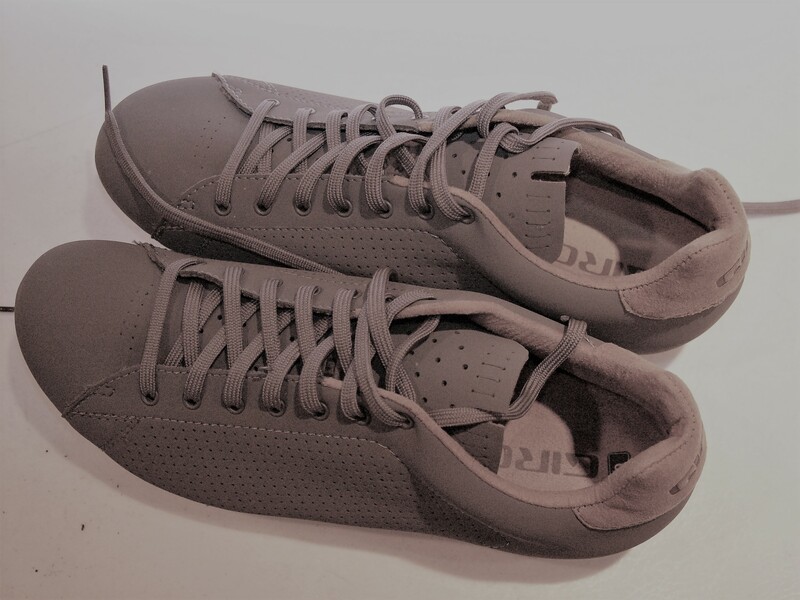 The leather brown accents on my gray shoes really pops and brings them up a notch in style. I get compliments on them at work, on the light rail when I bring my bike aboard and elsewhere. Plus, they are aging wonderfully. I don’t usually ride in torrential rain with them but I have been caught in showers and they keep my feet relatively water free and dry out quickly. I also use them to walk through an office building to change into office attire. They do have a soft click when I walk but it’s not due to the cleat striking the floor but more the hard rubber pads making the noise. They also elevate you foot platform a bit so they have this slightly odd, clog-like appearance from the side. Overall though, you can walk around in them with relative ease and not do the clicky-duck walk like traditional road racing shoes. They are excellent cycling shoes. They flex where you need them but are generally a good, stiff shoe. They are breathable in the summer and do a great job keeping the toe box warm in the winter. I used to wear little booties to cover my toe box because of how cold my toes would get in the winter. No longer is that necessary. 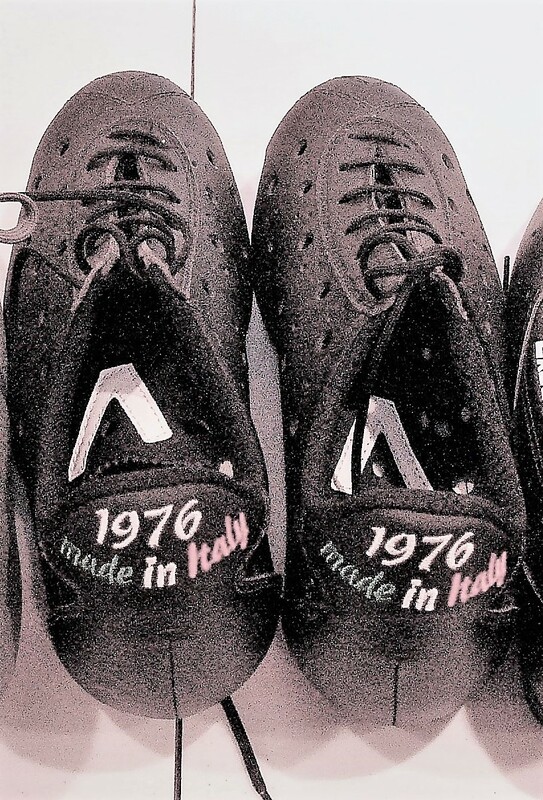 One item I to mention, especially knowing your issues with the Vittoria 1976 shoes, is that my Giro’s are extremely narrow. I think they may be the most narrow shoe I’ve ever owned. However, they fit tight but don’t give me issues since my foot is narrow but I have read many reviews that this is an issue with this particular Giro model. I’m hoping my review helps rather than hinders your thoughts on the Giro’s though. If your foot fits well in them, you have an phenomenal pair of cycling shoes that perform exceptionally well, can take a beating and look good while doing it. Thank you for your thorough review of the Giro’s. I’m going to give them a try. It’s nice to hear that they are holding up so well and are comfortable, even with the narrowness issue. Another reader suggested Adidas soccer shoes as a nice around town toe clip shoe-comfortable for walking, low profile for ease of getting the shoe in and out of the toe clip, and with a stiff enough sole. Agreed! Give them a shot. If they fit, you’ll love them. I assure you. I am terrified of those toe clips. I tried some beautiful christophe half moon clips which still terrified me. I’ve been riding all my life, but somehow I am afraid that if I had toe clips or was clipped in I would forget and have an accident. Deep seated terror. My husband rode clipless for years but started having knee problems. He tried the clips but in the end settled for mtb platform pedal comfort at the expense of speed and efficiency. For me finding cycling shoes that fit would be impossible unless custom made. My feet are tiny but wide. I’ve ridden in years saskatchewan winters and years in pacific northwest rain and never slipped. I had some luck with the ‘grip king’ pedals but admit they could get slippy when wet depending on the footwear. I only ever once bashed my foot with the pedals when I had to stop suddenly and was wearing sandals. I also get very cold feet while cycling, the blood rarely floods down there and oh it can be painful. I have been in absolute agony cycling home at night in the winter. Tight narrow cycling shoes would have done me in. I’ve struggled to find the right footwear but with platform pedals I can wear super cozy sheepskin lined boots and have warm feet. Awhile ago I read about randonneurs and roadies turning to mountain biking platform pedals with these grips on them. I love them. Best solution! The large platforms create a steady bond with the feet. Great for climbing, standing….and fun colours! One thing all cyclists should note: everyone gets to choose their own equipment. The only “right” way to ride is the way that suits you. The newer platform pedals really are superior to their vintage ancestors, due to the larger platform and grippier surface. 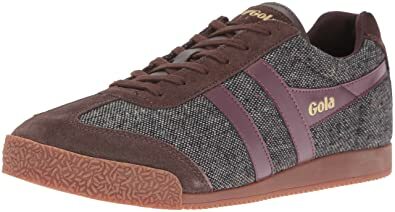 …and I found these Gola Harrier Woven which, though contemporary, kind of have a vintage look and would just need a firm after-market insole: https://images-na.ssl-images-amazon.com/images/I/81h3WKTBFgL._UX395_.jpg. Thanks for sharing those ideas. Worth checking out! As I get older I’m finding less and less reasons my feet need to be attached to the pedals. I’m convinced no one is really pulling up on the back stroke anyway so why the need for attachment? I’ve been riding flats since last June including Ragbrai. No Problems. I don’t foresee my self going back to clips and straps(never drank the clip less koolaide) any time soon. Plus flats are just the ticket to clean up a lazy spin. You may get the occasional stink eye from the equipment snobs but I presume you’re long past caring. Don’t forget that ugly plastic MTB style toeclips had a taller toe space to accomodate hiking style shoes, and that your shiny Christophes can be bent similarly.